It is the policy of the Abia State Government to encourage the development of industrial activities in the state. Large-scale industrial establishments located in Abia include; Nigerian Breweries, Aba; Golden Guinea Breweries, Umuahia; Aba Textile Mills, International Glass Industry (IGI), Aba and Modern Ceramics, Umuahia etc. Several medium scale industries abound in parts of the state, which produce such items as plastic wares, textiles, food processing and machine tool fabrication. Aba is not only the major commercial centre of the State, but also one of the commercial nerve centres of the eastern states. – Fruit and vegetable canning. – Aggregate plant (Stone crushing plant). – Bottles, flask, cans, tubes, bags tiles. To quicken the pace of industrial development, the state government has been ready to embark upon direct industrial establishments and also enter into joint ventures with entrepreneurs in the private sector. Efforts to industrialise the state are equally being augmented by the private sector. Thus, three main categories of industries – public, partnership and private are found in the state. Abia is an investor’s delight due to its huge potentials in the area of Commerce and Industry. It has so many industrial concerns and is interested in partnerships with reputable companies to revamp moribund companies while interested companies are also invited to set up new ones. Aba, the famed commercial capital East of the Niger possesses the expertise and savvy to reproduce any technological product manufactured anywhere in the world.Skilled and unskilled manpower abound in Abia State while Raw Materials for a vast array of products are readily available. At the moment, the Abia State Government is seeking partnerships in developing the following projects. 1. �ABIA HOTELS LTD, UMUAHIA: Under the Government policy on Privatisation&Commercialisation, the Abia State Government is desirous of handing over Abia Hotels Ltd, Umuahia Branch to reputable investors to develop it to a world class hotel befitting a State Capital. The hotel in its current state is located in the middle of Umuahia metropolis and occupies a vast largely underutilised acreage of land. The structures in the current location could be demolished to make way for a more befitting edifice. 2. �UMUAHIA MODERNMARKET, UBANI – IBEKU: The Abia State Government at the inception of the administration of Chief T.A. Orji, entered into an agreement with a consortium to Build, Operate and Transfer an international modern market for Umuahia at Ubani – Ibeku. However, the developer ran into financial constraints occasioned by the Global Economic Meltdown in the course of the project and abandoned the project. The agreement between the Abia State Government and the developer has since been cancelled. The Abia State Government is therefore inviting reputable investors to come and take over the building of the market. It is instructive to point out that the currently existing market will be demolished to guarantee exclusivity for the new market. 3. �TIMBER AND ALLIED � MARKET,UMUAHIA: This market is being relocated from Umuahia Urban Centre to Ajata-lsiekeIbeku on the Umuahia Bende Road. The land acquisition procedure has been concluded awaiting project developers to take over the project. 4. �ABA INTERNATIONAL INDUSTRIAL MARKET: This is conceptualized as a specialized market located in Osisioma area on Aba/Owerri Expressway. The area of land available for the market is about 100 hectares. The project will greatly divert attention from the Aba metropolis thereby aiding the decongestion of the city. 5. �UMUKALIKA INDUSTRIALCLUSTER: The industrial establishment in Umukalika, Obingwa Local Government Area is designed to provide relocation facilities for leather/garments workers presently operating in residential buildings within Aba Township and environs. The relocation of operators in this industry will decongest available residential accommodation in Aba as well as enhance the opportunities for employment in the industry. 6. �OVOM � INDUSTRIAL � WORKSHOP ESTATE: This project is designed to relocate Auto-Technicians and Allied Workers operating in Aba metropolis, Ogbor Hill and environs. The Ovom Industrial Workshop location covers an area of 8.1 hectares of land and will accommodate various artisans such as Auto technicians, Welders, Spare Part Dealers and related services. On completion of this project, the resultant mass movement of these industrial workshop operators will decongest the urban Centre of Aba as well as enhancing the aesthetics of Aba and environs. 7. 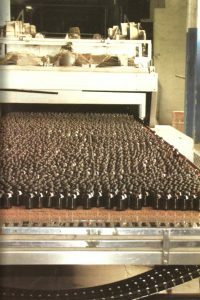 �METALLURGICAL COMPLEX, ABA: This is another long-moribund company for which we require private investors to turn the fortunes of the complex around. 8. �ABIA HEALTH FOOD: Ubakala in Umuahia was established as a pilot project for Soya Milk production. The company was unable to sustain its activities andclosed down in 1994. Interested investors are invited to reactivate and modernize the company. 1. �THE GOLDEN GUINEA BREWERIES (THE PEOPLE�S CHOICE), UMUAHIA: Is on the verge of resuming full production after about seven years of inactivity. Work is currently ongoing at the factory as engineers are installing the new equipment bought for the brewery. 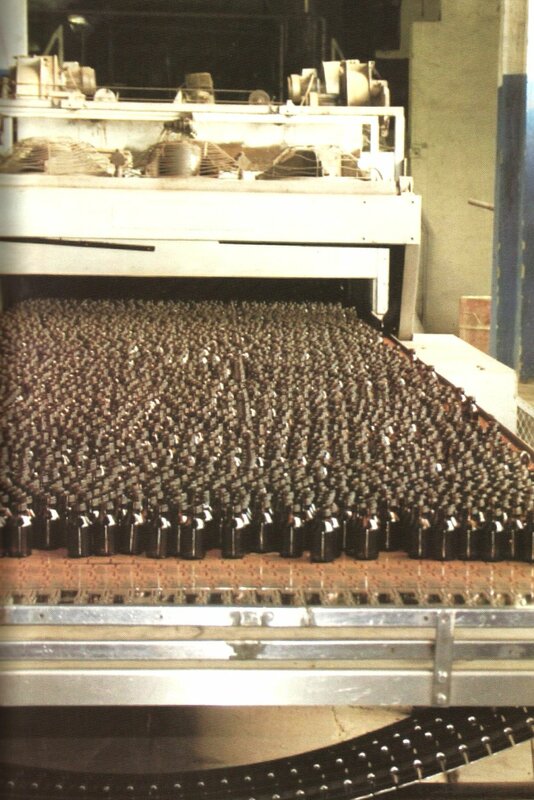 As soon as the internal works are completed, the plant will come back to life and full production will commence. In addition to the existing range of lager beer and Malt to be produced by the brewery, they are also installing equipment for the production of bottled water. 2. �THE INTERNATIONAL GLASSINDUSTRY, ABA: Which was leased to Churchgate Group, recently commissioned a new production line, the first major activity in the industry for the past ten years. With the commissioning of the new production line, the company is currently the largest manufacturer of pharmaceutical bottles in Nigeria. With the new life breathed into it by our administration, it is set to expand its operational base and diversify into general glass productions. It will soon commence the production of glass sheets used in manufacturing vehicle windshields, windowpanes and sundry glass products. 3. �MODULAR REFINERY, OWAZZA: We have entered into strategic partnership with the Hermes Juno Consortium to develop several projects in Abia State. The first is a Modular Refinery Project at Owazza in Ukwa-East Local Government Area of the state. The Refinery also has as bye-product, a Fertilizer Plant within the same complex. The company is also to construct a Housing Estate for inhabitants of the area. 5. THE MORDERN CERAMICSINDUSTRIES: Is alive and fully functional. The company, after 14 years of inactivity, was handed over to UCL Consortium, promoted by the Catholic Diocese of Umuahia and with our support; they have done a wonderful job to revitalize the place.We gave the management of the company massive support in the areas of infrastructural development i.e. factory complex and sundry assistance and today, modern equipment imported from Italy for use at the factory have been installed and full production has commenced. This was the major project the then Vice President Goodluck Jonathan commissioned during his working visit to Abia State on January 30,2009.The Modern Ceramics Industries at full capacity employs about one thousand direct staff while about three thousand individuals benefit from supplies, distributions and contracts.On the whole, our plan is to set Abia State on a pedestal where it will compete favourably with its peers in the committee of industrialized states in Nigeria.